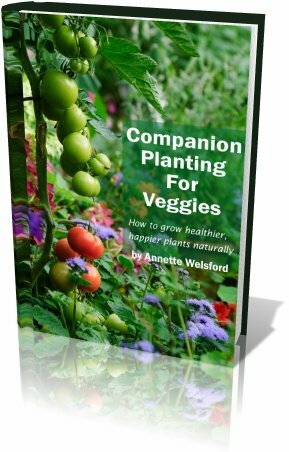 Growing Vegetables in Containers - Tips and advice | GrowingYourOwnVeg. 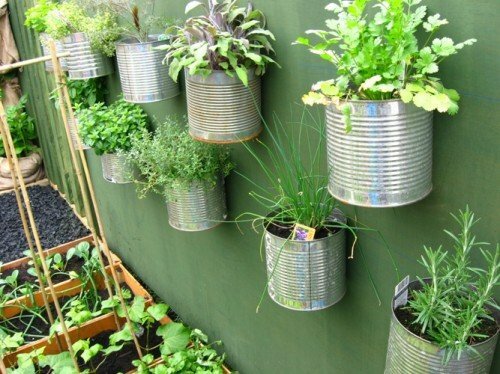 Using containers to grow vegetables is not as hard as many people may think, and it is also a very rewarding activity. I am not sure why people think we cannot to this; after all we grow all sorts of other plants in containers so why shouldn't we grow vegetables this way?. This maybe your only option if you have a limited amount of space. There are now many varieties of vegetable that have been specifically bred for growing in containers, probably the most obvious and well known (though technically not a vegetable) is the dwarf bush tomato (cherry tomato) which was bred for growing in hanging baskets. There are many advantages to using containers for this, compared to the open ground. These are: you have more control over the soil type, if you are growing organically then it is easier to use a barrier method of pest control, they can be grown closer to the kitchen or even in the kitchen. Of course there are some disadvantages mainly you will need to water them more frequently and the soil will need to be changed every year. Some vegetables that have been successfully grown in containers include: Potatoes, Runner Beans (pole beans), Peas, Cabbage, Peppers, Carrots, Leeks (most of the really big Leeks seen at exhibitions and shows are grown in containers), Parsnips and Salad crops e.g. Lettuce, Radish, Spring Onions. The vegetables just listed are those that grow well in containers in the UK, However if you live in America please get advice from your State Extension Department who will have more accurate information regarding which vegetables grow well in your area. The location i.e. is it sunny, shady or sheltered etc. How much time you will have available to tend the vegetables as they are growing. What you enjoy eating. After all there is no point in growing something if you are not going to eat it is there. You will then need to match the container to the vegetable and then to the location. E.g. if it is only three inches deep there is no point in trying to grow parsnips, but you could try French Beans or Parsley or lettuce. I could go on about this at length but that is not what this page is about. Like all gardening trial and error is all part of the fun and what might work for me may not for you. As I have said elsewhere on this site there are no hard and fast rules on this. There is a whole plethora of different types, styles and shapes of container available for use growing vegetables. These include; specifically designed pots for a specific vegetable e.g. the potato tub, multipurpose vegetable sacks, multipurpose grow bags, plastic pots and terracotta pots. All of which are available in a multitude of colours and sizes. Now if you are into recycling how about these: an old ceramic sink, plastic washing baskets, broken saucepans, wheelbarrows, old dustbins and fish tanks. I have even seen potatoes being grown in old plastic carrier bags. I am sure that if you put your mind to it you could come up with many more ideas for recycling items that can be used for this purpose. Now while just about anything goes when it comes to the container it most certainly does not when it come to the soil. By their very nature vegetables are greedy feeders so the soil needs to be as good as possible. The better the soil the higher the yield, so go for the best soil you can afford and try to avoid using the really cheap stuff from your local DIY centre. Visit you local nursery and ask their advice on the right soil for what you want to grow and for your location.